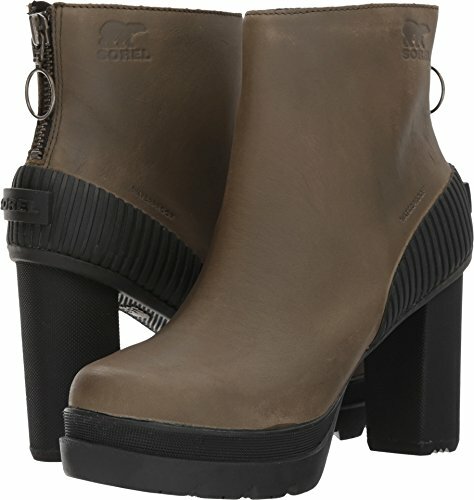 The chic yet protective style of the Dacie Bootie from SOREL will have you walking tall all season long. Die-cut memory EVA footbed with a synthetic top cover for an incredibly supportive and comfortable fit. Molded rubber midsole provides added support and shock absorption. Sturdy molded rubber heel. Handcrafted rubber outsole with herringbone design for excellent traction. Imported. Measurements: Heel Height: 3 in Weight: 1 lb 3 oz Platform Height: 1 1?4 in Product measurements were taken using size 9, width B - Medium. Please note that measurements may vary by size.